The New Year has arrived, and with it comes the perfect time to try out a hot new look. 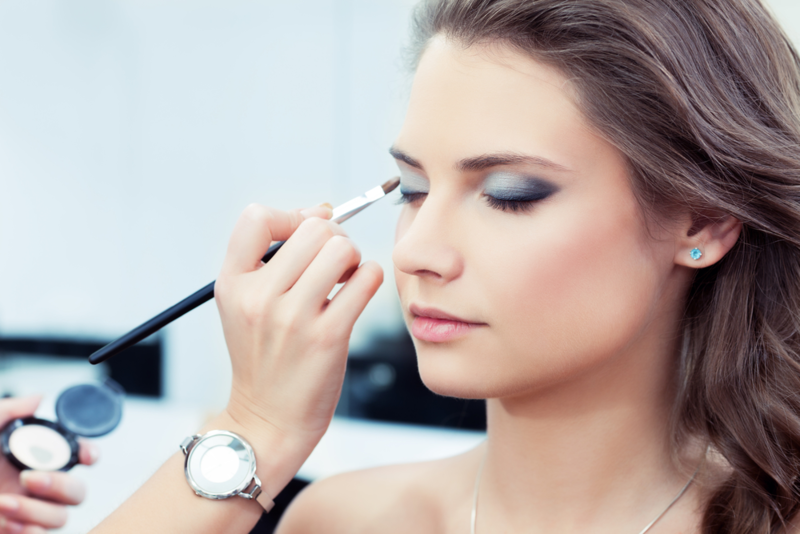 Here at Von Anthony Salon, we offer a variety of makeup services to suit your needs. From a full face application to a session devoted entirely to the eyes, we are here to help you find your new go-to routine. Here, we’ll highlight just a few of the latest makeup trends to start off the new year. Glossy lips and glassy skin. The trend needle is moving more toward less cover-up and a cleaner, healthier, more radiant look this year. Pair fresh, glowy skin with a bold, glossy lip for a fresh, simple look that requires very little fuss. Pastel eyes. Pastels are not just for Easter eggs these days! Expect to see the washed-out hues rendered in a more saturated way this year, ranging from very shaped and precise to an 80’s inspired color-block look. To build pastel intensity without crossing into clown-makeup territory, start slowly by keeping most of the color close to the lash line and then blend outward to get the desired effect. Glitter. Last season was all about the illuminators and pearly powders but this season is going to be ablaze with glitter. Feel free to apply it generously on your lips, your eyelids or your cheeks, but to ensure proper balance, keep it to a single area. When a more subtle look is called for, opt for natural skin tones and understated accents. French elegance. This season features the comeback of an undeniable classic: vibrant red lips, the picture of French elegance. For a clean, sharp look, take the time to outline the lips with a well-sharpened liner then spread the lipstick with a brush starting from the center, moving outwards. If you’re going for that slightly imperfect look, apply your lipstick straight from the tube then use a brush to correct any obvious flaws. Are you ready to try out a brand new makeup look? If so, we’d love to show you how! Come see us at Von Anthony Salon where we are dedicated to meeting all your beauty needs. To schedule an appointment, give us a call on 972-731-7600 or take advantage of our mobile app to schedule at your convenience. Download it free on iTunes, Google Play, or Amazon.